People living and working in Emmet County now have a new transportation option. 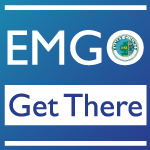 EMGO, the county’s new public bus transit, began service Jan. 2, offering pick-ups to help people get to work, school, appointments and shopping. A website is now available at www.EMGOride.org providing details for those interested in learning more about the county public transit which expands the service offered by the two buses Cheboygan’s Straits Regional Ride has been offering for several years. Three new buses now travel throughout more of the Emmet County with EMGO’s service. One new bus route runs from Mackinaw City to Petoskey and back. Another route focuses more on the Harbor Springs and Alanson areas. The third route supplements the other two routes with Dial-a-Ride service in and around the Petoskey area. The routes are detailed on the website for this pilot program which aims to enhance opportunities and improve mobility for people of all walks of life who live and work in Emmet County. Website visitors will also find information about the cost of bus fares, what accommodations are available for riders with special needs as well as a radio interview Emmet County Administrator John Calabrese had with Tim Nixon for his “Northern Michigan Connections” feature on MacDonald Garber Broadcasting’s WLXT Lite 96. The 30-minute interview provides further information about the origins of EMGO and how the county plans to operate this new public service when 2019 gets underway.